How are you, my dear Neopians? Here’s Dr. Sloth talking to you from my secret location. You guys probable know that I’m a HUGE fan of the whole green movement, you know recycling and all that... What you probably don’t know is that I’ve been studying to get my new doctorate degree in Environmental Sciences *cough*of evil...*cough*... And now, with my new title, I feel like the perfect person to give you guys some tips on how to go green, so I expect you to pay a lot of attention. 1)	Do NOT use the Wheel of Excitement. Many Neopians don’t know this, but actually the Wheel of Excitement is one of the most toxic places on Neopia. It produces the 130% of the air pollution of Neopia every year! So imagine how the faeries are “helping” Neopia, but no, instead of repairing the damage they do to all the neopets, they go and charge decent Neopians like me with absurd accusations. 2)	Visit the Virtupets Space Station. When you find yourself lurking around Neopets without knowing where to go, why don’t you visit the Virtupets Space Station? Avoid visiting places full of polluting clouds *cough*likefaerieland*cough* and consider spending some time at Virtupets! 3)	Give the Snowager a visit! Your loyal samaritan, myself, has made a deal with this powerful creature, and now every time you visit him, he will donate one of his beloved random treasures toward the Virtupedian Movement for the Environment, founded by me of course. As you all know, this movement takes care of the polluted beaches and lands of Neopia. However, the Snowager only gave one condition; it has to blast you with ice! But that’s just a small price to pay for the wellbeing of Neopia, right? 4)	Run an evil plot to conquer Neopia. Virtupets scientists have determined that evil plots help the plants grow faster; besides, they reduce the level of happiness in the air (and we all know how this toxic gas can be), so put evil ideas out there, maybe read “Evil Plots For Beginners”, and help fellow Neopians like me to make a conscientious Neopia! 5)	Create a mutant Neopet. Unlike regular neopets –and specially faerie neopets– mutant neopets do not produce a lot of pollution to the environment. Have you never asked yourself: Where does all the recipients of food go to? Well, you might be surprised to know that all of the garbage that regular neopets leave after eating goes to the Neopian ecosystem. 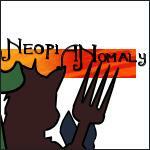 But you might be as well surprised to find out that mutant neopets only eat bio degradable food. Seriously, they eat from Bagguss to Dung! And the good side is that you can feed your neopets without contributing to the destruction of the world. Of course, you have to use my line of transmogrification potions to paint neopets with this... unique... color. 6)	Do NOT make donations to the Money Tree. All regular people think that they’re helping other Neopians by donating things to the Money Tree. A COMPLETE LIE! You may not know this, but the Money Tree has a horrible secret behind his branches. This horrible creature keeps all the good stuff for himself, and then he sells it to Tarla. Then he uses the money to support rebel groups like the faeries who pollute the atmosphere. 7)	Recycle old evil plots. 8)	Become a Dr. Sloth clone. Many people like to attack me, saying that I’m “planning to destroy Neopia” and a bunch of other horrible lies, but they don’t know that all I’m trying to do is create a big squad of clones that help me clean the gorgeous lands of Neopia. The Dr. Sloth clones factory is the main engine that reduces and reutilizes toxic gases, like the one released by the faeries, and turns it into a special chemical agent that modifies the mind and controls the neopet, of course with the previous ‘consent’ of the neopet. Besides that, the clones have made campaigns through the years to reduce the amount of garbage in the cities and oceans. They even started an operating team to clean Kiko Lake *cough*outofKikos*cough*. But the evil Queen Fyora had to come and mess with the wellbeing of Neopia, once again -.-, so don’t waste any time and become a Sloth Clone; you WON’T regret it! 9)	Destroy all the Faeries. I assure you, my fellow samaritans, that if you follow every piece of advice I’ve just given you, you will get a different Neopia, conscientious and clean, free of dictatorial faeries that only want to keep the mandate of terror that they’ve maintained through the years. I have to say goodbye, but I hope that next time I see all of you Neopia will be mine... I mean... Neopia will be green!